This message was sent via text to Michelle intended for the Golden Nugget. We thought it was very cool and wanted to share not only with the Golden Nugget, but with all of those who take the time to stop by our site. We love getting your feedback, so please feel free to stop by our remotes, and/or share your thoughts in person, anytime. And a very special thanks to Jim Griffin, a long time fan of Ken Thomson and SportSXRadio. 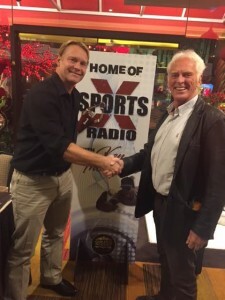 People like Jim Griffin keep me going…..thank you God for everything including my awesome, loyal audience at SportsXradio!!! Sure do miss you big guy. I’m still in the desert and hope you’re doing well my brother.